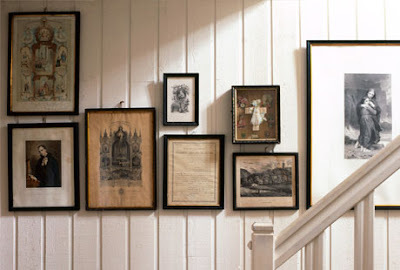 I loove the floor to ceiling versions and the mixed and matched frame colours and sizes. My problems is, there are 2 full walls on each side of the staircase but the back wall curves up to the ceiling. 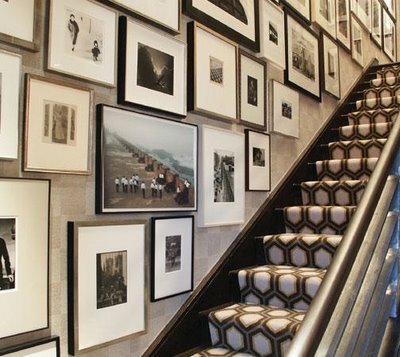 Also, I don't know that our little space could handle that many pictures, so I'm thinking maybe a couple of big and small frames on each wall would suffice. When I can find my frames in our maze of boxes I think I might make some paper templates to test some layouts before putting holes in the walls. The landlord will appreciate that. 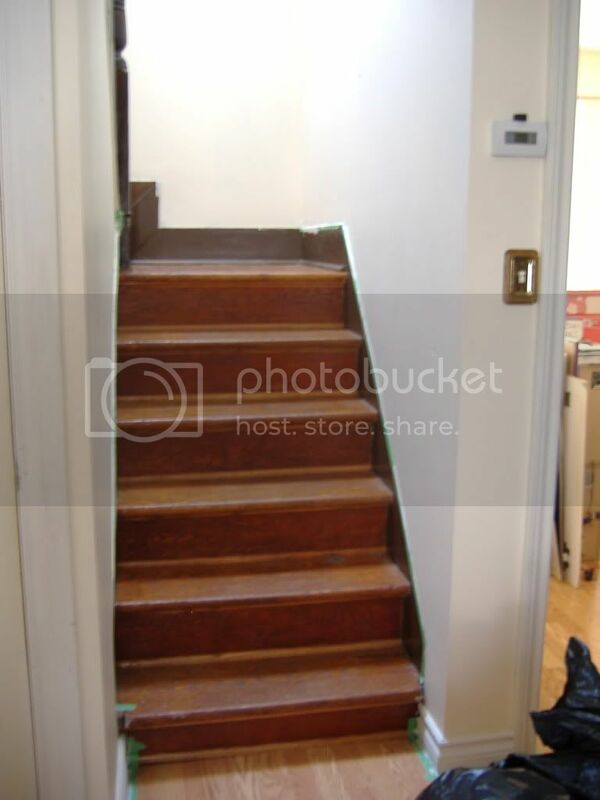 What would YOU do to jazz up such a small staircase? I think a bunch of pictures with different frames would look great ! !